Telling Tales: Boroondara's Plaques and Memorials online is a great source of information. 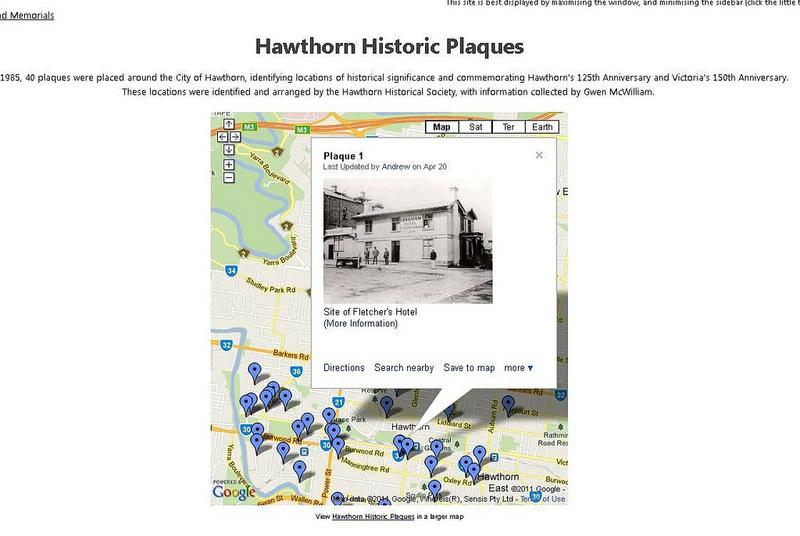 In this project Google meets local history in a new way which, via the platform of a social media tool, a wiki, allows for continuous expansion of this project in ways yet to be thought of. The project highlights the benefits of new technology for the very traditional area of local history. 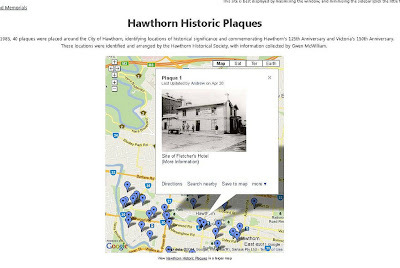 With this tool members of the community and Council staff in various departments have on their desktop historical information and photographs which previously was only accessible in print form. And all of this is embedded in a location tool, Google Maps. The wiki format allows for everyone to comment and tell their stories online. Open Telling Tales on an iPad or netbook and leave your desk for the streets and you have an historical walking tour (or several) with you. 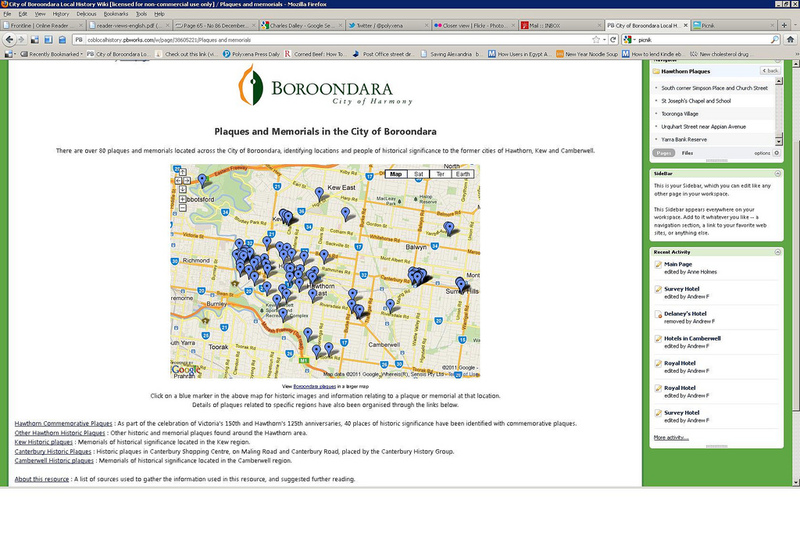 This is a great tool which will have many uses for the community of Boroondara. Well done @librarianidol! You have done a great job with this project! Congrats to all responsible for the project.